Beauty Rest'ore is intended to restore and repair your skin with ingredients such as green algae and vitamin E.
Weather Warrior is designed to calm and soothe skin that has been exposed to extreme weather conditions, whether it's hot sun or extreme cold. 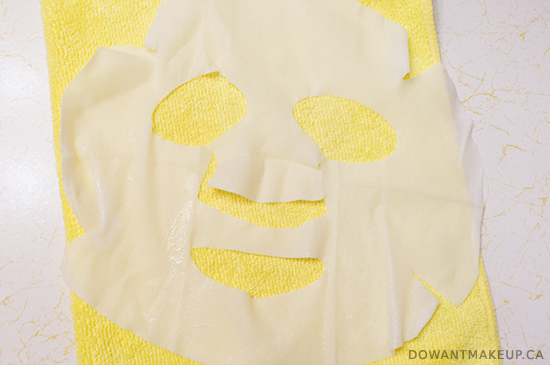 This mask features aloe, green tea, and witch hazel. All three masks were very pleasant to use, although I'll admit that I didn't notice much difference between them. The thick serum seemed to feel the same across the three: upon removal, the masks left my face sticky with hydration (in a good way) and I woke up with happily plump skin. Beauty Rest'ore stood out to me because of the lavender oil in the serum; it doesn't have an overpowering lavender scent, but really pleasant and calming. I used this mask before bed and the lavender was so soothing that I fell asleep very quickly and peacefully after removing it. Okay this photo is kinda creepy but at least I didn't scare you with a surprise photo of me wearing it! The fabric of the mask is made from biodegradable Tencel and is soft and comfortable to wear. 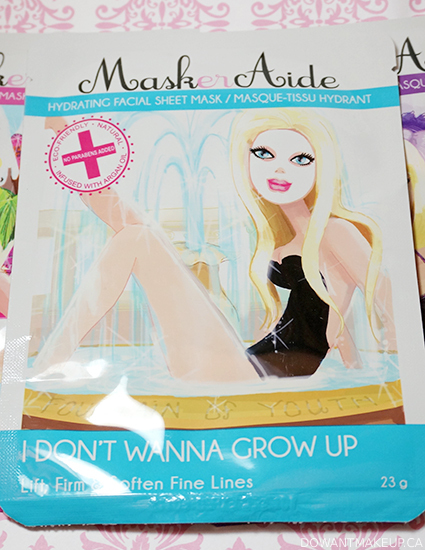 Unlike some flimsy sheet masks I've tried in the past, this one won't easily rip as you try to arrange the mask on your face or fall off if you try to bend over to pick up something. The sides of the mask extended beyond my hairline and chin, so it should fit even for people with broader faces. Even after wearing it for the prescribed 20 minutes, there is still a good amount of serum left on the mask. After closer examination of the ingredients, I realized that the reason why I couldn't tell the difference between the masks is probably because the ingredients lists are extremely close. You can scroll down to the bottom of the post to see the ingredients for each list (painstakingly typed out because I hate my eyes), where you won't see much difference except for a few flower extracts or oils near the end. 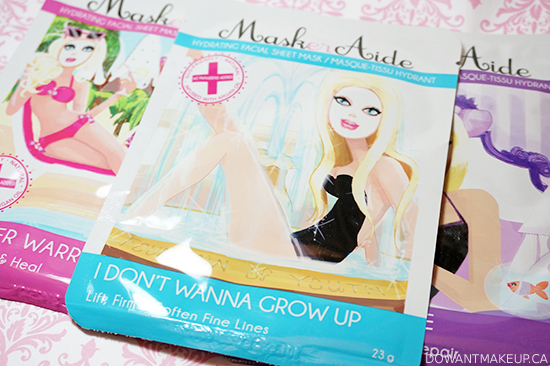 The masks were great at giving my skin a boost of hydration and refreshing my face, but there's probably no need to buy one of each or to agonize over which of these three to pick up. 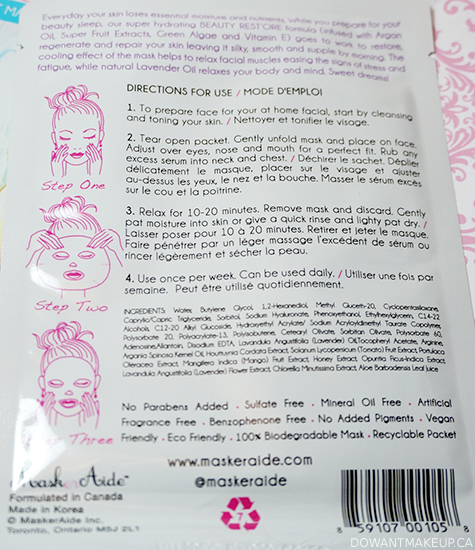 The other three masks in this line-up, Detox Diva, Pre Party Prep, and All Nighter, seem to differ more noticeably in their formulation, so you may want to check those out. 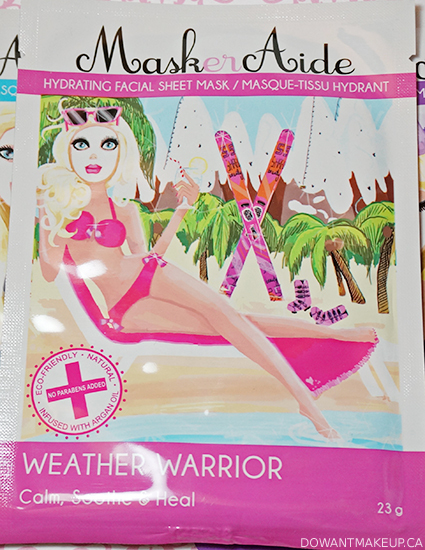 I chose to review Weather Warrior, Beauty Rest'ore, and I Don't Wanna Grow Up kind of by default, because the other three contain alcohol. But wait, don't freak out. Alcohol is used in cosmetics for a lot of reasons, such as thinning out what would otherwise be a very thick product or helping other ingredients penetrate the skin. I know my skin reacts badly to products with alcohol (ethanol) in them, but most people can use it perfectly fine. Obsessed Canada is the sister site to Nail Polish Canada, with a heavier focus on bath and body, hair, makeup, and skin care products (but they still carry nail polish so you can still pick up the latest China Glaze or OPI collection!) Just like Nail Polish Canada, they offer free Canadian shipping with a minimum order of $25, which I've always thought is pretty awesome considering I'm used to seeing numbers closer to $50 or more for free shipping. 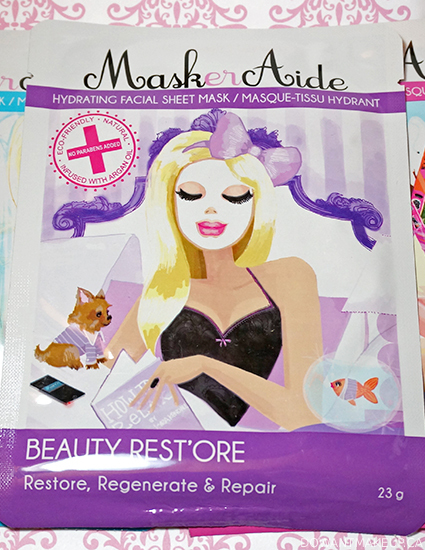 MaskerAide is only one out of a considerable range of brands they stock, so pop by and take a look!